I didn’t see his name on the program, but I wonder if the buzz among those attending the ecumenical and bipartisan-intended poverty summit held at Georgetown was regarding the new book edited and mostly written by Dr. Orlando Patterson at Harvard. 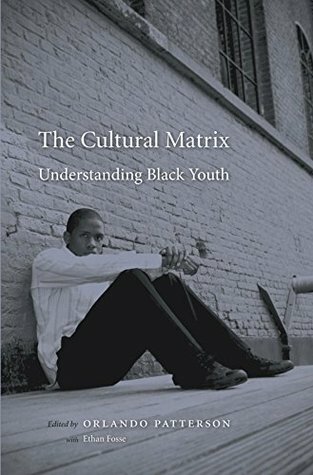 The Cultural Matrix: Understanding Black Youth, published several weeks earlier is not for the casual reader, not only because it is a little pricey but because it is dense with data and scientific findings associated with poverty. It should be required reading for anyone who is serious about this issue or who gives it news coverage or those who flippantly betray their cynicism. But be sure to have a fresh highlighter ready. Black himself, Patterson is what is called a historical and cultural historian. He is one of those sociologists who having unwrapped the intricacies of poverty believes in a mix of structural and cultural solutions to poverty. One of the unfortunate obstacles to eliminating poverty is that people in general have divided into two camps advocating for what have become stereotypical and simplistic avatars for not having to delve into more nuanced and integrated solutions. On one side are “structuralists” who view the solutions to poverty around structural improvements to society such as jobs, housing, addressing institutional racism, and improved access to food, education and healthcare. Lately, this is the camp that has been all about pointing the finger at law enforcement as the impediment. On the other side are “culturalists” who have closed their minds to anything but improved values and rooting out learned behaviors and traditions. This, I think, is what some people are trying to say when they use those judgmental fighting words - “a culture of poverty,” which is a perversion from what this description meant when coined in 1970. Of course, as Patterson points out, there is no such thing. That doesn’t mean that unwrapping and eliminating poverty shouldn’t involve a deeper understanding of cultural as well as structural and social justice influences, though. Moderates like me are probably capable of irritating both camps. The well-intended but underfunded “War on Poverty” was structural in nature. Conservative opposition dating to the Great Depression and earlier was given stereotypes to cling too during the 1980s by President Reagan’s non-existent, “Welfare Queen” have been a brittle form of culturalist by nature. Dr. Martin Luther King Jr. and several Presidents since - both Republican and Democrat - including Barack Obama have tried to weave together both structural and cultural solutions. I read Dr. Patterson’s new book after reading a fascinating op-ed he penned in the New York Times just days before this month’s poverty summit convened at Georgetown. Entitled, The Real Problem With America’s Inner Cities, it reminded me of when I first arrived in Durham to jumpstart community marketing here. I was still inventorying the community when I was appointed to the board of the chamber of commerce. Having heard some disparaging remarks both about Downtown and a blighted inner city neighborhood to the East, I invited a long-time Durham resident on a field trip. It is an area planners have re-christened North East Central Durham by planners, although it is not really north or central, to distinguish it from those further east. My counterpart who headed the chamber accepted my invitation to drive through both neighborhoods. My point was to show him how bustling Downtown was at night in 1990 but to also disavow him of the impression that disadvantaged neighborhoods nearby were composed entirely of jobless poor people. We drove down several streets with well maintained for homes and lawns. Patterson points out twenty five years later that on average, 20 to 25 percent of residents of neighborhoods such as these are “solidly working class or working poor” who are for the most part conservative when it comes to values. In his book, Patterson notes that another 25% of disadvantaged neighborhoods are comprised of people he classifies as “ghetto middle class,” though constantly exposed to what he calls the toxicity of a core “problem minority” that varies from 12 to 28 percent. It is a small group, whose influence often reaches into surrounding middle class neighborhoods, spawning downward mobility among youth. This ratio explains why in surveys more than 40% of people living in or near poverty cite a decline in the desire to work among their neighbors, a view consistent with the majority of Americans. The remarkable advantage of the book Cultural Matrix is how Patterson and co-editor/contributor and doctoral student/researcher Ethan Fosse weave longitudinally the findings of hundreds and hundreds of studies, both quantitative and observational into a readable narrative. There are also very practical tidbits in this extraordinary book. For instance, those hoping to unwrap the opinions of the poorest of the poor may be misled when they espouse the importance of education and work. This minority in the poorest minority poor neighborhoods can appear to resemble conservatives as most of them espouse values such as individual effort, personal responsibility, the American Dream and being a good parent. They also similarly express and demonstrate negative views toward government, business and institutions (especially criminal justice,) even hip-hop. Studies show that these normative values come from a vastly higher consumption overall of media including television and contrast greatly to a reality of “structural disconnection and cultural divergence” that results in even greater suffering. We are all vulnerable to espousing values disconnected from our actions, regardless of where we fall on the ideological spectrum, especially it seems those who claim to be the most conservative. It is just that our hypocrisy, but for the grace of God, does not result in our own suffering.